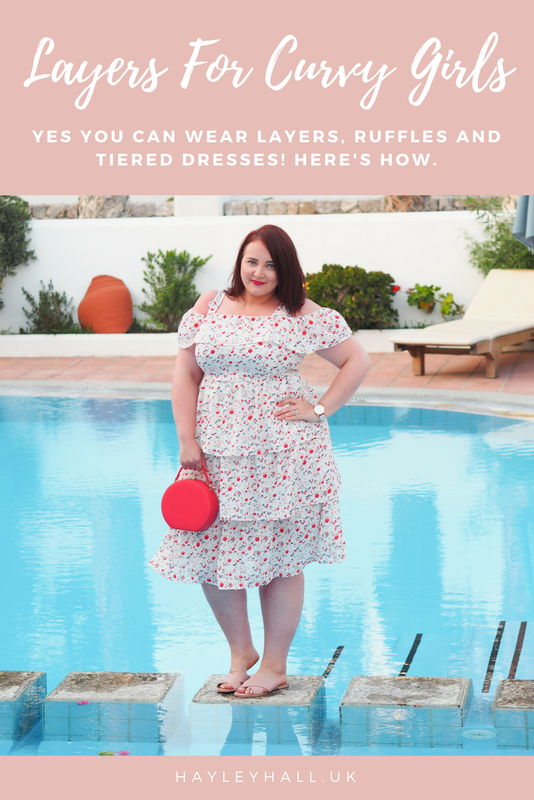 Every day I open my wardrobe I’m overwhelmed with choice; not only do I have so many amazing summery dresses to choose from, but the appropriate weather to match! Now that’s a turn up for the books. 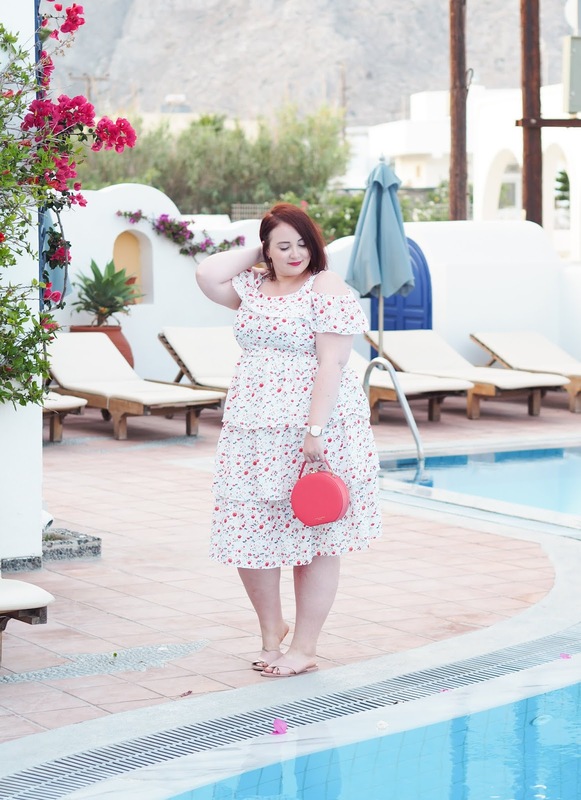 Not only have I been able to wear some of my fave looks on holiday, but they’ve all been making an appearance on UK shores too – and that’s something I’m super happy about. (Is there anything more frustrating than getting to summer and still being stuck in jeans and a tee?) One of my current favourite ‘going out out’ dresses has to be this beaut number from Joanie, which is fast becoming a go-to brand for wardrobe staples with a little bit of added sass, because it’s just so effortlessly elegant. Although I did need to adjust the straps (perils of being a short-arse) this pretty much fits like a dream; the layers could add lots of excess volume around the hips, but instead the lightweight fabric ensures they’re super flattering and actually work with my shape rather than against it. The off-shoulder style also adds a little something extra, while working with the panels in the skirt to continue that ‘ruffle’ story with ease. 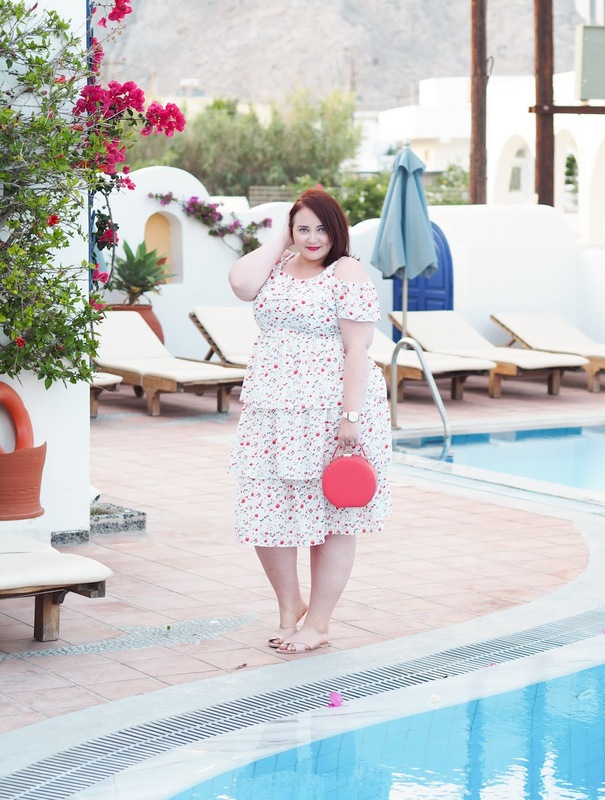 As I get increasingly conscious about the bingo-wing areas of my body, the little draping of material helps to conceal them without going for a full sleeve or cover up; I did get a full face of material in the wind and lipstick all over the front of my dress within about ten minutes, but thankfully the ditsy print totally concealed it from view! 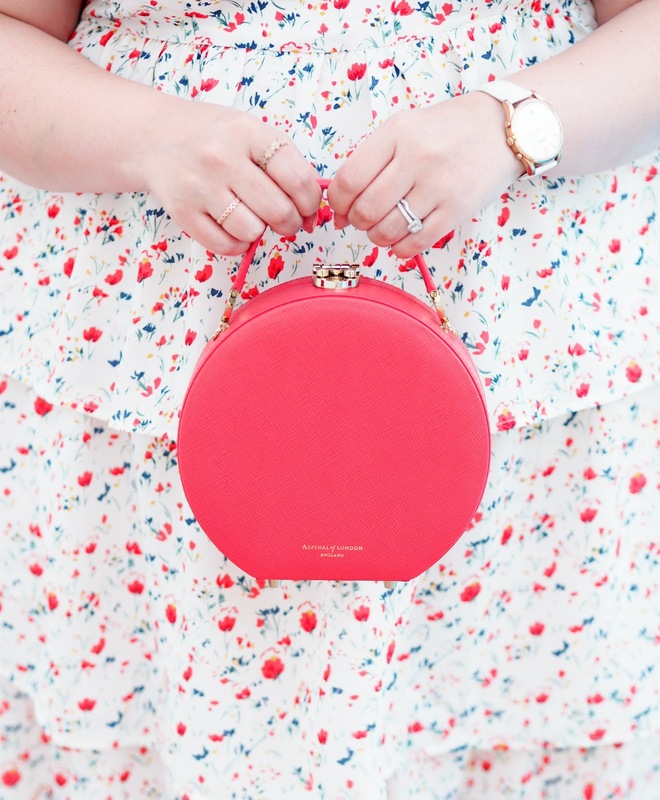 I also need to take some time to talk about my newest handbag purchase… I’d had my eye on a circular ‘hat box’ style bag for the longest time, and adored the styles Aspinal launched earlier this year. They’re so effortlessly chic, but when mixed with a bold and bright colour like this one they’re brought bang up to date. This was an impulse purchase when traveling back from Margate a few weeks ago (damn you St Pancras station for having such great shopping!) after I saw they were in the summer sale; girl can’t resist a bargain! 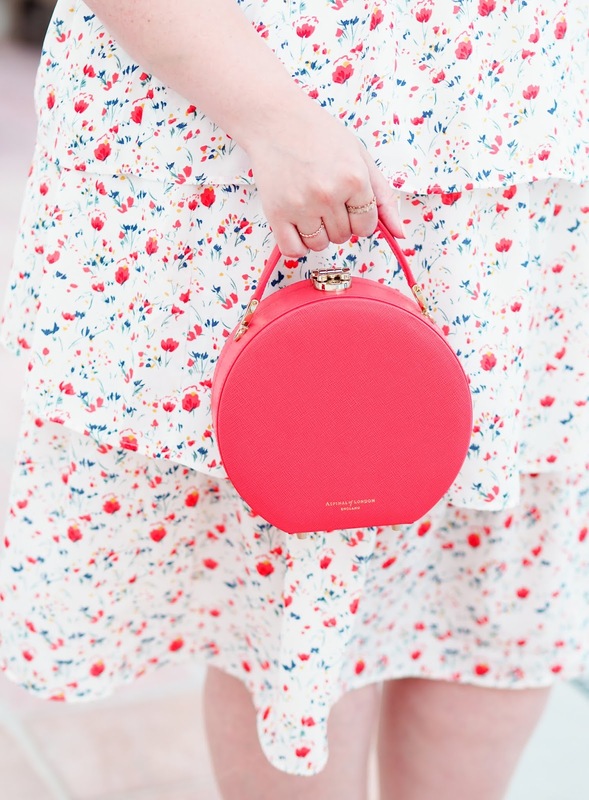 I love everything about the beautifully crafted bag, especially the little clasp detail and the individual sections inside; it even has a cross-body strap if you don’t fancy lugging it around all day, or simply want to keep it casual. Although it was pricey, I know I’ll get so much use out of it for the years to come. That, for me, makes a justifiable purchase. 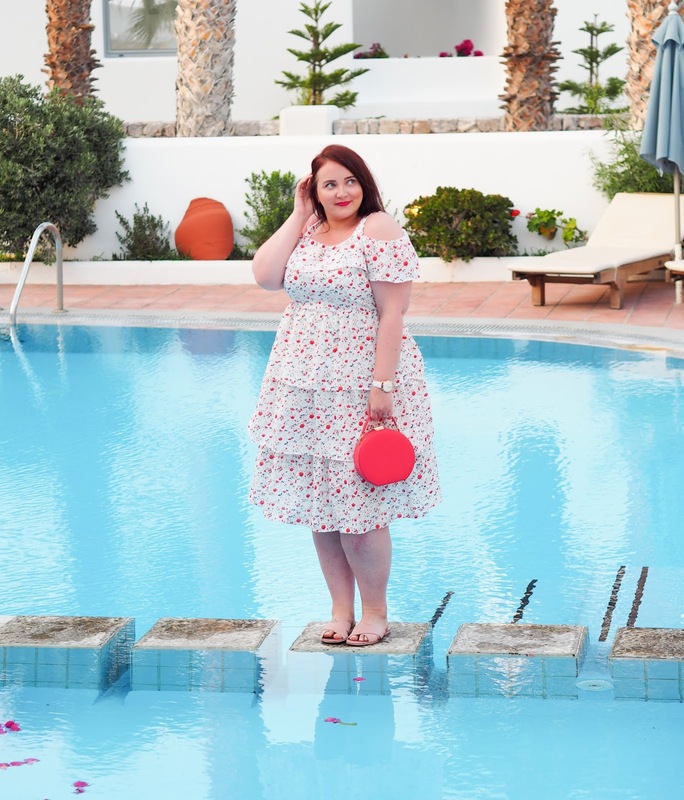 Photos taken by my lovely husband while on holiday in Santorini. Isn't it! I love it.